Welcome to the Dschaak Family website. The Dschaak Family has a proud German heritage. 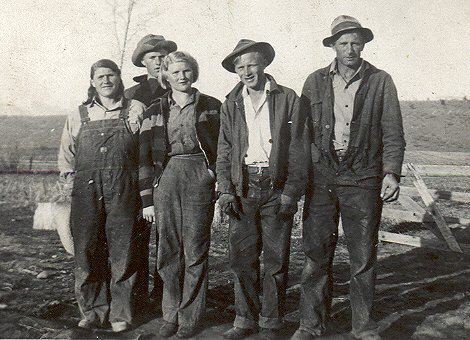 They immigrated to the United States in the late 1800’s primarily settling as farmers in Mercer County North Dakota.This site is a common location for anything about the Dschaak Family to be shared. The Dschaak Family forums is a place where users may post information that only registered members of the forums can see. 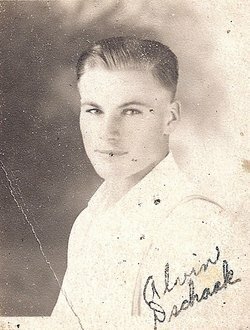 Do you have information or contributions that could be added to this site in regards to the Dschaak family? You can join the forums and post there, post a comment here, or send an e-mail to admin at dschaak.org. 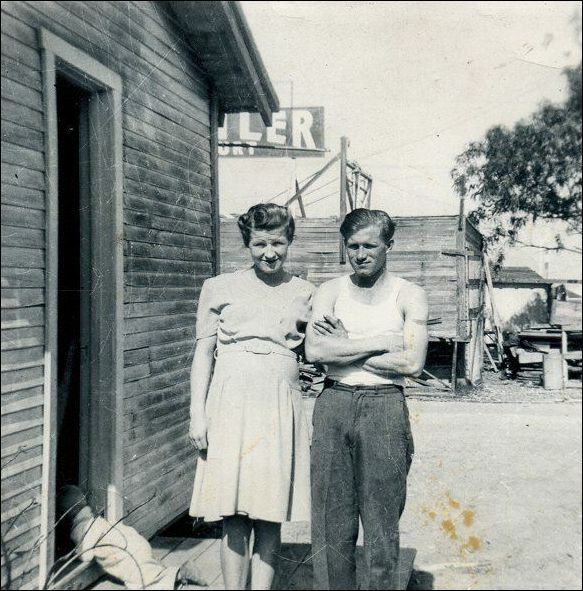 Hilda Amalia Galster, born Dec. 29, 1902, married Christ Dschaak. The attached document has family history for the Galster family which includes Christ and Hilda’s lineage. Thanks to Zachary Dschaak for providing this documentation. New documents added: Dschaak Family pedigree for Peter David and Jacob with ancestry back to 1600’s. Thanks to Zachary Dschaak for providing these documents. Raymond Dschaak, Born Nov. 1, 1920 in Golden Valley, ND. 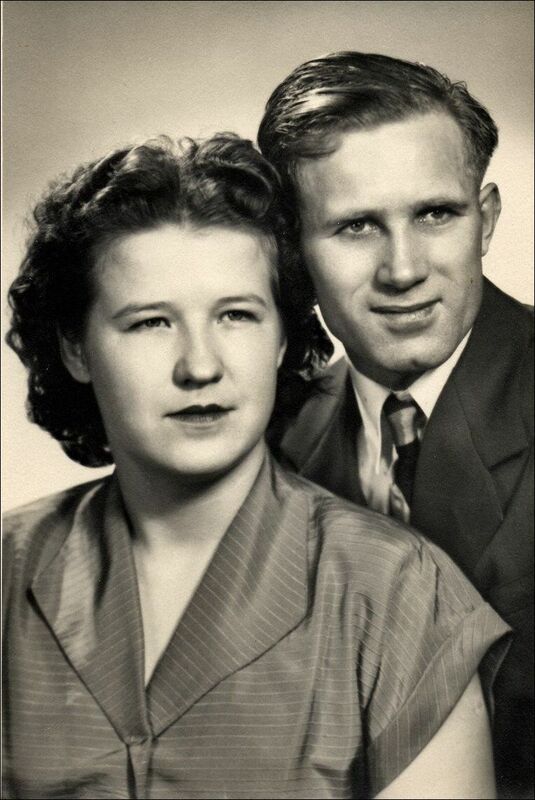 Married Alberta Rice July 3, 1941. 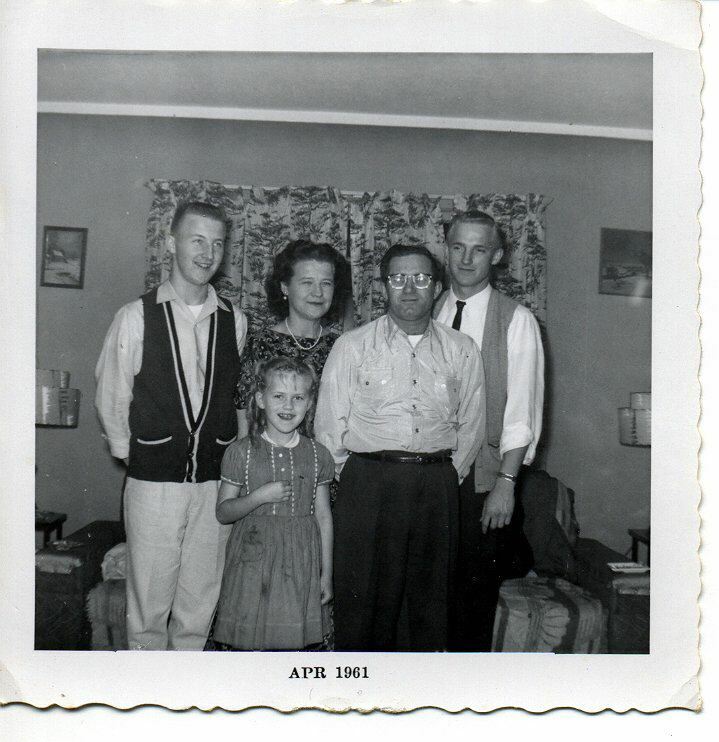 Father of Bonnie, Timothy, Raymond, and Gayleana. 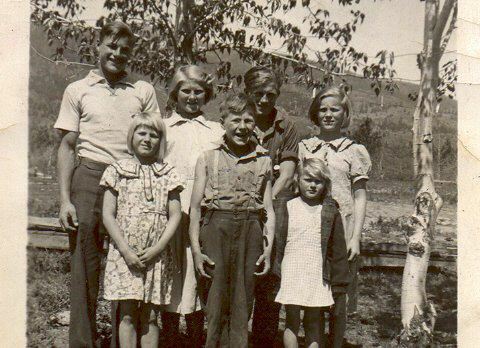 August and Hulda children: (Left to Right) Alvin, Ramona, Eleanor, Eubert (Bert), Raymond, Gladys, Nama (1938). The Belle Fourche Dschaak family may be an example of how today’s National Guard is a different creature than before the terrorist attacks of September 2001. Sgt. 1st Class Brent Dschaak and son Jake are home with the 842nd Engineer Co. after a year in Afghanistan, but both are looking at some big changes. It’s increasingly typical for National Guard soldiers in an era of overseas deployments and promotions that take senior people into different units instead of spending an entire Guard career in one unit in one community. Brent, who had been full time with the National Guard at Belle Fourche and Spearfish armories with the 842nd will be moving to Huron with the 153rd Engineer Battalion headquarters where he will be readiness noncommissioned officer. He’ll be taking not only his experience with the 842nd in the Northern Hills, but also experience in two overseas deployments to war zones. Dschaak was with the 842nd in Iraq when the unit as a whole leveled ground for major bases and built or repaired roads in the country. In Afghanistan he filled a number of positions ranging from handling logistical convoys as noncommissioned officer in charge to working with Afghanistan National Army people. Capt. Allen Godsell, the officer who commanded the 842nd in Afghanistan and served with the unit as a new lieutenant in Iraq, said he hates seeing Dschaak leave the unit. “I actually hate to see him heading out to Battalion,” he said, adding that Dschaak definitely deserved his promotion last spring in Afghanistan. Dschaak’s last four months in Afghanistan may have been one of the most difficult assignments for any American serving in that complex war zone. “I worked as an advisor with the Afghan National Army,” he said. His work was to help bring Afghan Army engineers up to a professional level as a military road building and earth moving organization. Godsell said that recent news of Afghan soldiers ambushing the American soldiers sent to train them was a concern, but teaching engineers was a different kind of mission. “Also, we took real serious the guardian angel concept where they knew we had people watching them,” Godsell said. That, Godsell said, is invaluable experience for Dschaak even though that kind of duty could be exhausting. It also proved Dschaak had the cultural sensitivity to work well with people who come from an entirely foreign culture in their own environment. Jake had been doing regular engineer work with heavy equipment. He said he plans to head to the University of Minnesota. The third Dschaak serving overseas is Brent and Diana’s oldest son Casey. The couple said they don’t know what the regular Army 1st lieutenant plans for his own career. The three Dschaaks serving in Afghanistan this past year carried on a military tradition in their mother’s family. Steel-covered Bibles from the World War II era, one from her late father and two she found on eBay, went with each of the three into harm’s way. 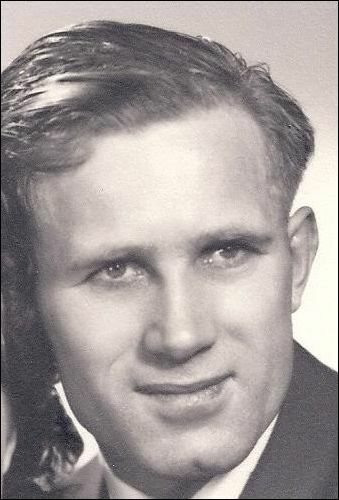 He was one of eight children of August and Hulda (Janke) Dschaak. His father, August, immigrated from Eupatoria, Crimea, Russia on the ship ‘Armenia’. 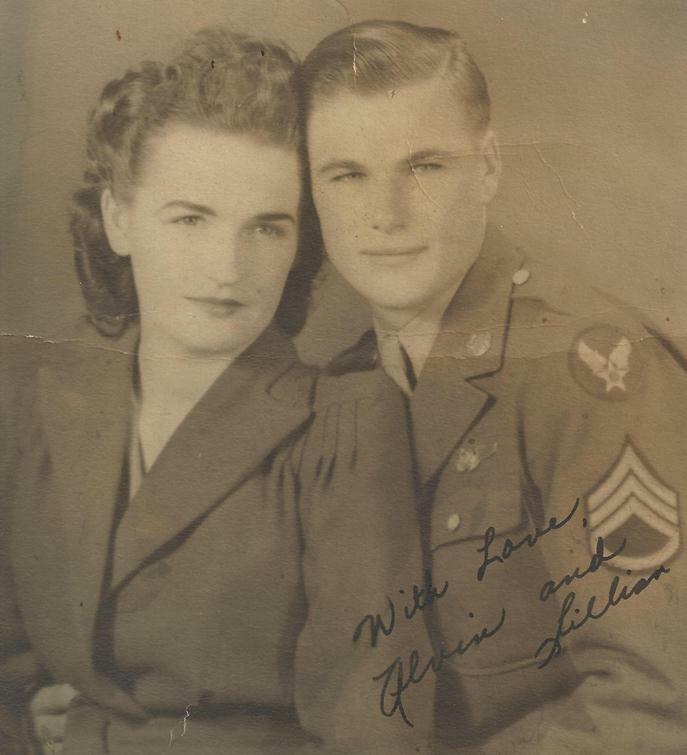 His sister is Gladys (Dschaak) Williams, who still survives at the time of this writing. His father was living in Mead, WA at the time of Alvin’s burial upon return to the US. 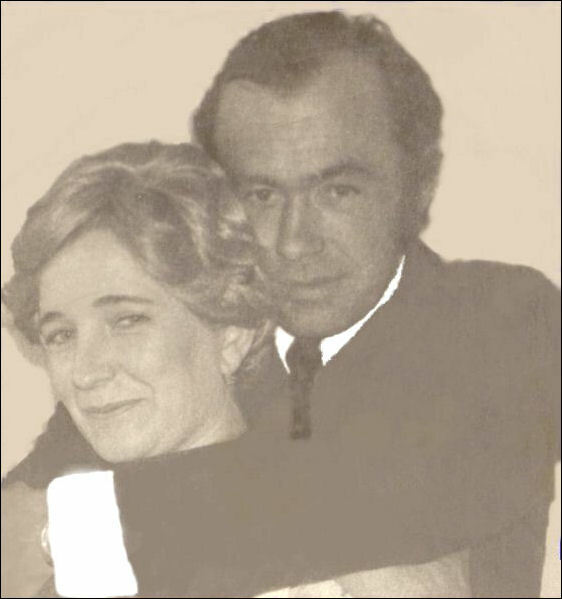 Alvin was married to the former Lillian Rice of Hamilton, MT, who later married James Wallace. 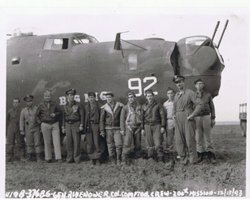 As the Radio Operator on B-24E #42-7119, 34th BG, 7th B Sq, he successfully bailed out of the aircraft before it crashed on 10 June 1943 over Weed, Siskiyou Co, CA. You can read more about this incident in an article on the Mt. Shasta News.com website. 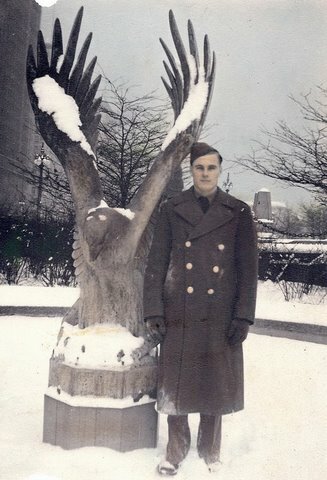 He went on to serve in the European theater, having been re-assigned to the 376th BG, and volunteered on a mission on his 22nd birthday to serve as a nose turret gunner. B-24J #42-73428 ‘Big Nig’ was on a mission from San Pangrazio, Italy to Sofia, Bulgaria, when the aircraft was rammed by a damaged Bulgarian Bf 109G-2 flown by Dimitar Spisarevski (KIA) of 3/6 Orlyak and crashed at Pancharevo, Bulgaria. 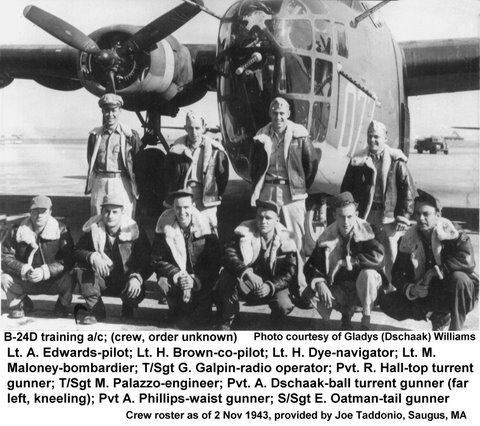 There were 9 KIA, Alvin amongst them, and one taken as a POW. purple heart for wounds leading to his death. Source: Sgt. 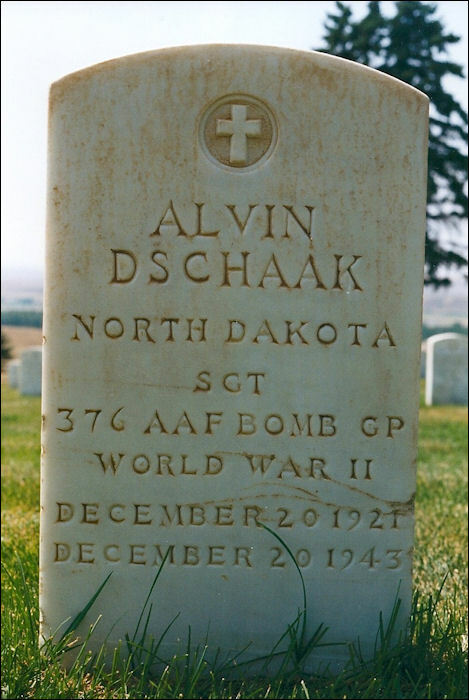 Alvin Dschaak memorial on Find a Grave.com Additional information can be found in regards to the crewmen on the two downed aircraft that Alvin served on at this link. 3/8/2012 – KHOWST PROVINCE, Afghanistan — A joint airdrop operation between Task Force Spartan, the U.S. Air Force, the Afghan Border Patrol and local militia Arbici was conducted to resupply paratroopers of Task Force Blue Geronimo at Combat Outpost Chergotah, a first for the area, Feb. 28. Paratroopers from Task Force Blue Geronimo conducted a drop zone survey two weeks prior in an effort to find a safer alternative method to re-supply Combat Outpost Chergotah. “This particular drop sets up for future drops, especially for the rebuilding of the COP,” said Sgt. 1st Class Nathan Botts, assistant operations for S-3, 1st Battalion, 501st Infantry Regiment (Airborne), a native of Hermiston, Ore. “It really sets up the unit for success in being able to supply them with more equipment,” A C-130 Hercules cargo aircraft was used in the joint effort to test drop 20 bundles of container delivery systems consisting of water and meals ready to eat, using low-cost high-velocity parachutes. 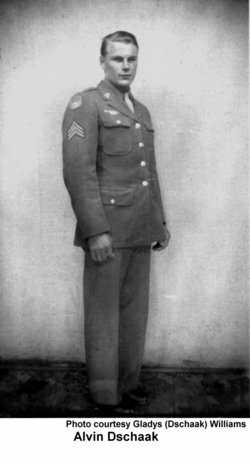 “None of the parachutes failed making for an easy recovery,” said 1st Lt. Casey Dschaak, platoon leader for 2nd Platoon, Comanche Company, Task Force Blue Geronimo, a native of Belle Fourche, S.D. “This method allows for more supplies to get in here, definitely giving us more ‘bang for the buck.’ It’s safer. You’re not moving huge convoys out here on the roads and there’s so many supplies that you’re able to store for future operations,” added Dschaak. Despite taking two rounds of indirect fire, the operation continued and there were no further incidents to jeopardize the paratroopers or the operation. Here’s some highlights posted on You Tube! Chris Dschaak and P.T. Thomas of Belle Fourche captured weight class titles at the Custer Invitational Wrestling Tournament last weekend. Dschaak was 4-0 at 145 pounds. He defeated Cameron Braden of Moorcroft, Wyo., 12-8 in the championship bout. Thomas posted a 4-0 record at 195 pounds. The Bronc downed Mario Lupercio of Hill City 13-8 in the finals.